Under New Jersey law, a “juvenile” is defined as anyone under the age of eighteen. 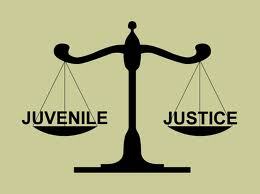 Often, the terms “juvenile” and “minor” are used interchangeably to refer to juvenile defendants. Every year, thousands of juveniles are charged with crimes ranging from criminal mischief to possession of marijuana and sexual assault. While adults charged with these offenses face prosecution in Municipal or Superior Courts, depending on the severity of their alleged crimes, juveniles face an entirely different legal process. When you are a juvenile facing criminal charges in New Jersey, your case is governed by the New Jersey Code of Juvenile Justice, which is outlined in the statutes from N.J.S.A. 2A:4A-20 through N.J.S.A. 2A:4A-92. Understanding your rights and responsibilities as a juvenile defendant in New Jersey is essential in order to protect your future. With so much hanging in the balance, it is highly advisable to enlist a knowledgeable New Jersey juvenile defense attorney who can walk you through every stage of the juvenile justice process, toward the best possible result. Alissa Hascup is a skilled New Jersey juvenile lawyer who has accumulated a breadth of knowledge and experience while serving on both sides of the New Jersey criminal justice system. Over the course of her distinguished career, she has held positions at some of New Jersey’s most prestigious criminal defense law firms, in addition to serving as a Municipal Prosecutor, Assistant County Prosecutor, and Special Deputy Attorney General. Her wide-ranging experience has informed her current practice, where she skillfully defends juveniles and young adults in Bergen County, Middlesex County, Union County, Morris County, and throughout New Jersey. Her profound dedication to her clients is evidenced in the countless successful outcomes that she has achieved and the compassion, support, and guidance that she provides every step of the way. To discuss your case or your child’s case with Ms. Hascup today, contact her offices at 862-257-1200 for a cost-free initial consultation. Under New Jersey law, a juvenile suspected of a crime is not technically arrested, but instead, is “taken into custody.” If law enforcement officials have probable cause to believe that a juvenile has committed an act of juvenile delinquency, they may take him or her into custody for questioning, after which they must decide whether or not to charge him or her with a complaint for criminal delinquency. An act of juvenile delinquency (juvenile charge) is defined in section N.J.S.A. 2A:4A-23 as an act which, if committed by an adult, would constitute: a felony; a disorderly persons offense; or a violation of any other penal statute, ordinance, or regulation. If a juvenile has been taken into custody and is not immediately released after questioning, the State must hold an initial detention hearing the following morning to determine whether or not he or she must remain in custody. As the process proceeds, the State imposes stringent requirements on the amount of time that a juvenile can be held in detention, ultimately restricting the unnecessary detention of a juvenile defendant before his or her case is decided. A knowledgeable juvenile defense attorney can file any necessary motions with the court to ensure that you are not held in custody in violation of State laws. Unlike adult criminal cases, where the defendant is required to appear in the county or municipality in which the alleged offense occurred, juvenile cases are typically heard and decided in the county in which the juvenile resides. In other words, if you allegedly committed a crime in Essex County, but you are a resident of Passaic County, your case will likely be heard in the Family Division of the Passaic County Superior Court. There are certain exceptions when the State will file a motion to adjudicate the case in the county where the alleged offense occurred, but this is not standard procedure. Another distinct feature of the juvenile justice process is the way in which these cases are decided. Unlike adult criminal cases, juvenile defendants are not entitled to a trial by jury. Instead, their cases are heard and decided by a single Family Court Judge. Many times, juvenile cases are determined without the necessity for a trial. In other words, the presiding Judge will hear the circumstances of the case and determine an appropriate resolution without a formal trial proceeding. It is important to note; however, that you are required to have an attorney present at all hearings, to defend your innocence and present your side of the case. If you cannot afford an attorney, the State can appoint a public defender who will serve on your behalf. Perhaps the most important feature of the juvenile justice process is the legal standard that governs these proceedings. New Jersey’s adult criminal justice system is driven by a commitment to punishment and deterrence. On the other hand, the juvenile justice system operates under the standard of the “best interests of the child.” This standard permeates all aspects of these proceedings, from custody and detention to sentencing. It ultimately provides judges with the discretion to determine sentences that promote the reform and rehabilitation of juvenile offenders. As mentioned above, the juvenile criminal process is focused on the best interests of the child. This legal standard, and the interests of the court in rehabilitating young offenders, allows for many sentencing alternatives that are unavailable to adult defendants. Family Court judges who preside over juvenile cases may impose a variety of sentences that do not involve detention, including: community service, probation, mental health counseling, substance abuse treatment, driver’s license suspension, or written assignments. They may also choose to imposed a “deferred disposition,” which is similar to a diversionary program. In a deferred disposition, the juvenile can complete certain requirements during a probationary period, after which the charges against them are dismissed. If you or your child has been charged with a juvenile offense in New Jersey, contact The Law Offices of Alissa Hascup to discuss your case and find the answers you desperately need. 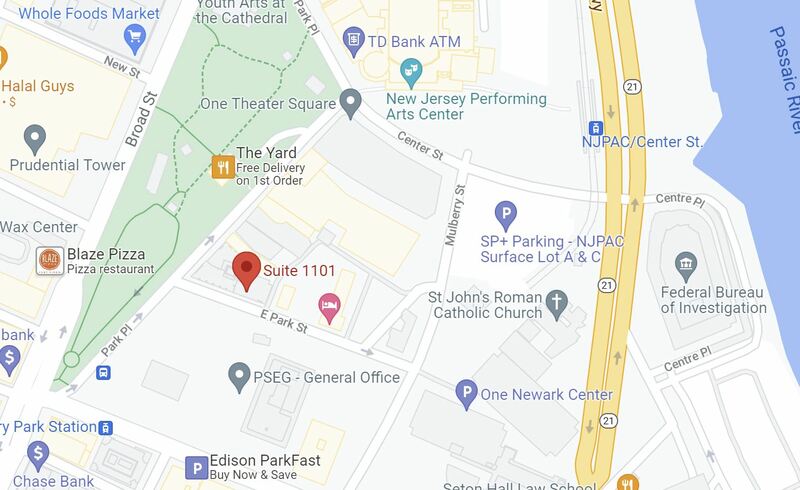 With offices conveniently located in Hackensack, Little Falls, Morristown, and Camden, she regularly defends juvenile clients in Paramus, Newark, Elizabeth, New Brunswick, and across the state. Simply call 862-257-1200 today to receive your cost-free consultation. Alissa Hascup represents juveniles and young adults in: Atlantic County, Bergen County, Burlington County, Camden County, Cape May County, Cumberland County, Essex County, Gloucester County, Hudson County, Hunterdon County, Mercer County, Middlesex County, Monmouth County, Morris County, Ocean County, Passaic County, Salem County, Somerset County, Sussex County, Union County, and Warren County, New Jersey. For additional information about the New Jersey juvenile justice process, access our Juvenile Criminal Justice Resources page.